When Charlotte Abbott, discovers the dead body of her husband Mark hanging from the banisters of their home, it is assumed that he has taken his own life, but Amanda Abbot, sister of the deceased, expresses her belief that such an act of suicide is totally out of character for her brother. Her suspicions of foul play lead her to take her concerns to Fulford Road Police Station where she is interviewed by DS Geraldine Steel who promises to investigate. In the past Steel would have taken the initiative and followed her hunch that Miss Abbott’s disquiet deserved serious consideration, but that was when she was leading the Murder Investigation Team as a DI in London. Following her demotion to DS, Geraldine is still adapting to a professional life in which she receives, rather than gives, orders, and she is forced to work surreptitiously to explore her gut instincts that tell her Miss Abbott’s fears may be credible. When the body count begins to rise and the deaths appear to be related, Steel’s intuition is shown to be well-founded and she refuses to allow her relatively lowly position in the team to deter her from pursuing lines of enquiry that her supervisory officers believe to be a waste of time. Geraldine’s tenacity is borne of her deep sense of police work as a vocation; as in previous cases, she is ready to put her personal safety and her professional reputation on the line to bring the perpetrator to justice and protect the public from harm. One of the fascinating aspects of the Geraldine Steel series is their focus on characters’ psychology and this novel is no exception. 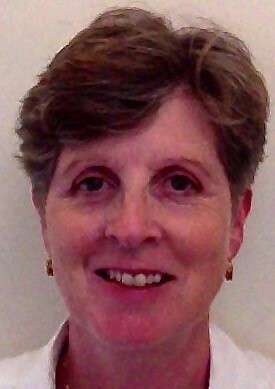 At the heart of the narrative is Geraldine herself, she often cuts a solitary figure and, whilst valuing her relationships with others, she frequently finds herself unable to trust those closest to her, misreading situations and unable to reach out to those with whom she has a personal or professional bond. Similarly, the novel reveals the complexity of thought driving other characters. One example of this can be found in the character of Eddy, whose addiction to gambling is described with insight, empathy and pathos. The plot has plenty of delicious twists and turns leading up to the climactic final chapters, and although this is the eleventh book of the series it works perfectly well as a stand-alone novel. 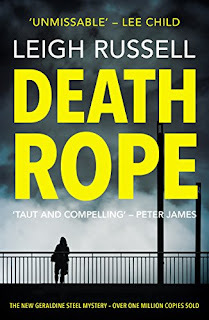 If Death Rope is your first taste of Leigh Russell’s writing, it will leave you wanting more. This latest fascinating and compelling read in a highly successful series had me hooked from the first page to the last – more please! 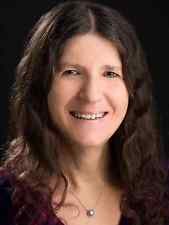 Leigh Russell studied at the University of Kent gaining a Master’s degree in English and American literature. 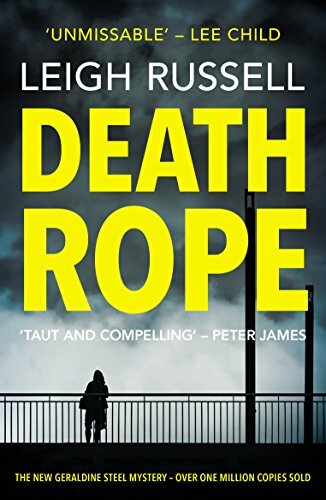 Formerly a secondary school English teacher, with the success of her Geraldine Steel series, Leigh now writes full-time. Her debut novel, Cut Short, was published in 2009 by No Exit Press in the UK, followed by Road Closed, Dead End, Death Bed, Stop Dead, Fatal Act and Killer Plan, all featuring detective Geraldine Steel, and Murder Ring will be published in 2016. Leigh also writes a spinoff series for Geraldine's sergeant, Ian Peterson. Cold Sacrifice, Race to Death and Blood Axe. Leigh recently signed a three-book deal with Thomas and Mercer for a new series featuring Lucy Hall. Leigh Russell is married with two daughters and lives in Middlesex.